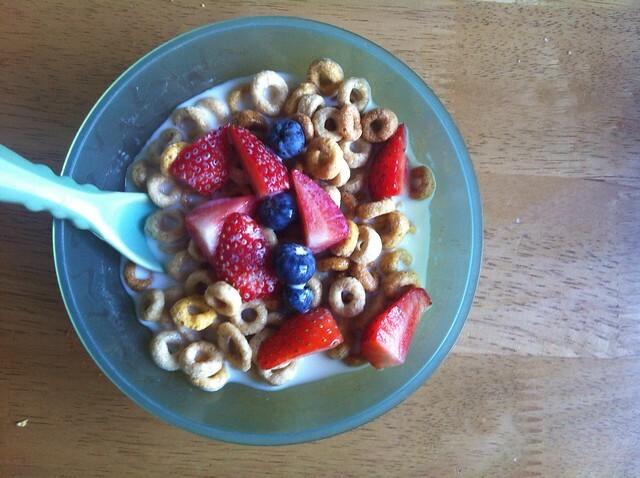 Multigrain hoops, chopped strawberries & blueberries. 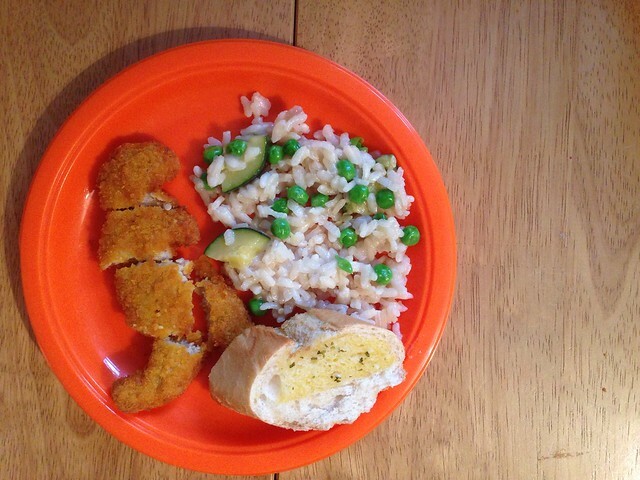 Pea & courgette risotto, turkey dinosaur & garlic bread. 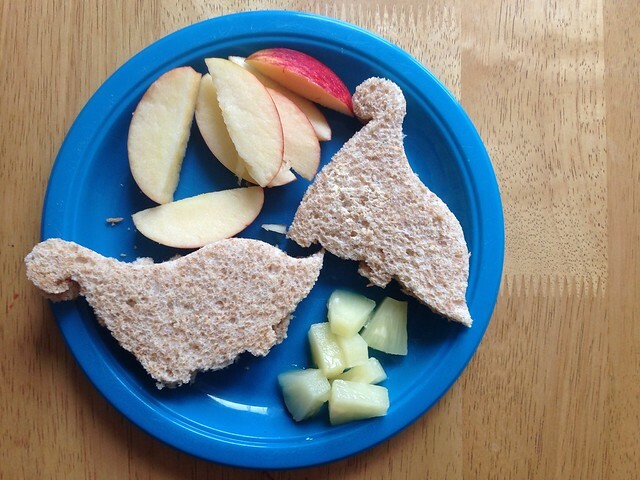 Dinosaur sandwiches, apple slices & pineapple chunks. 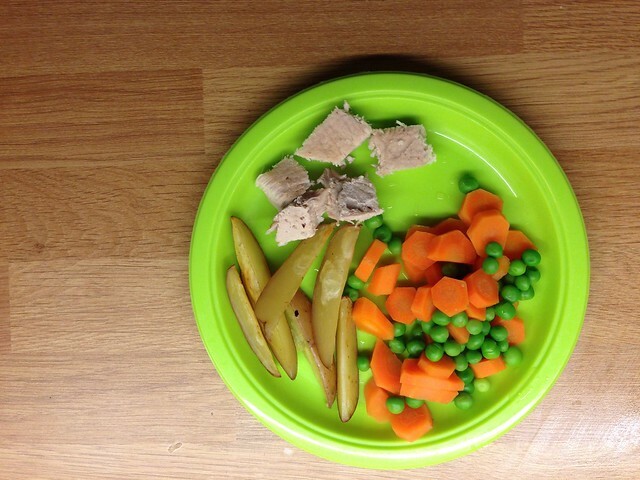 Pork chops cooked with apple, potato wedges, peas and carrots. 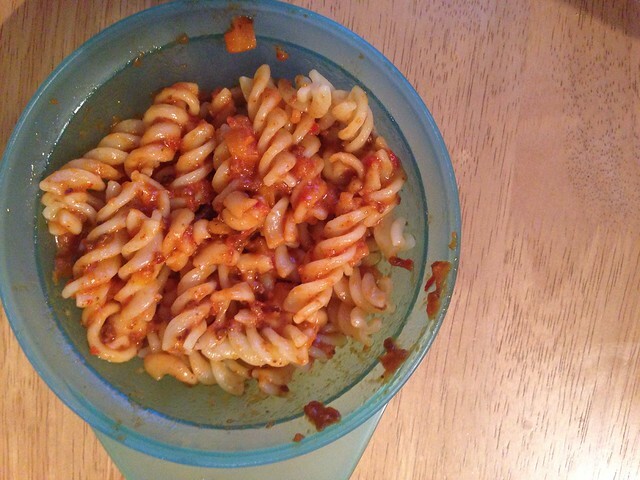 Ella's Kitchenchunky pasta bolognese bake, from the new 'My Little BIG Meals' range. Perfect for days when I'm in a rush or just feeling lazy! The first of its kind for Ella's Kitchen, this range is made specially for tiny tummies from 12 months +, and are packed full of at least five different fruit + veggies. Apologies for the bad picture, I nearly forgot to take one! The boys demolished this, it must have been very tasty! 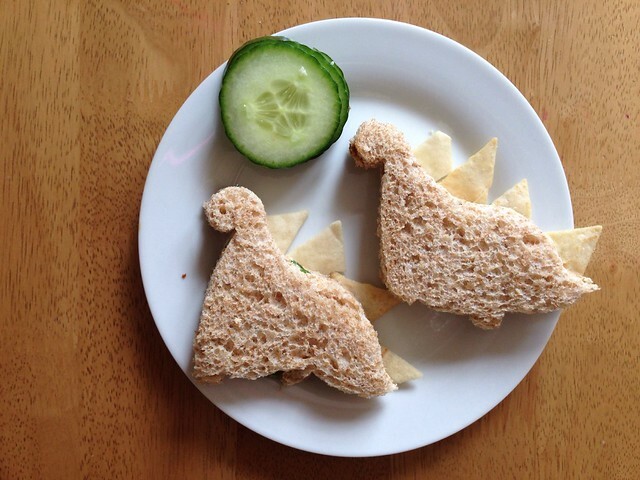 Cheese & cucumber dinosaur sandwiches, with pitta chip spikes & cucumber slices. 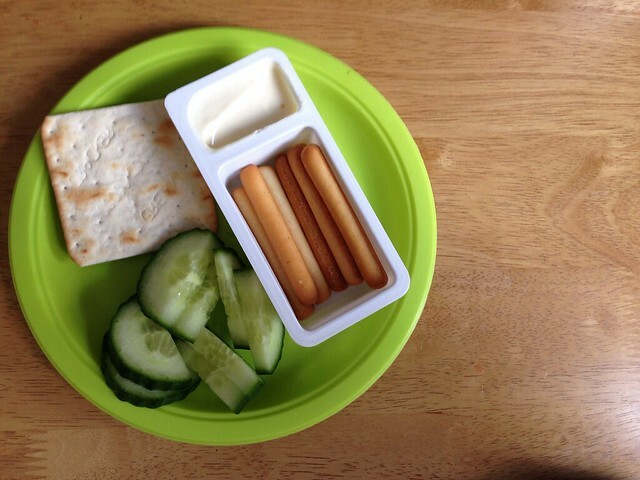 Crackers, Dairylea dunker (mini breadsticks and soft cheese) & cucumber. A failed attempt to get Daniel to eat cheese, but Joshua loved it! 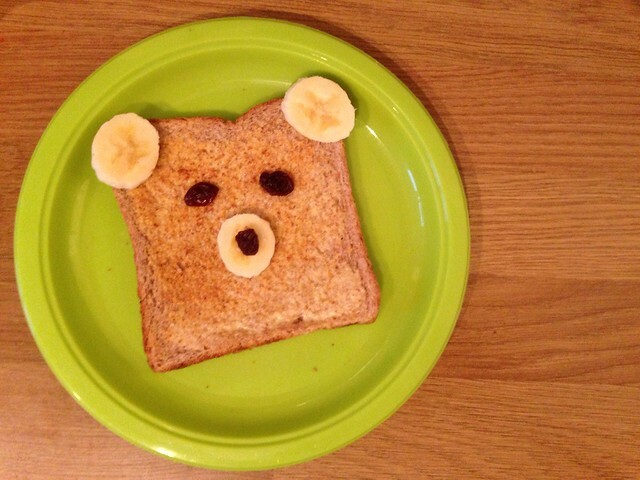 Pinterest-famous bear toast. Buttered toast with banana slices & raisins.